I follow up on my recent column on the Cal Poly Pomona archives by exploring the end of the university’s football program. That’s the topic of Wednesday’s uncommonly sporty column, with an unrelated Valley Vignette. Incidentally, I don’t understand football and have never watched more than a few minutes of a game. 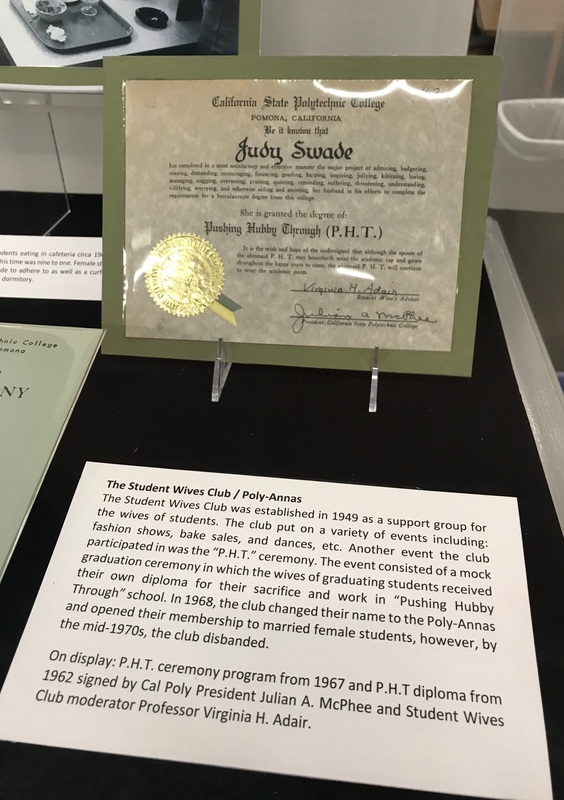 I visited a new exhibit on Cal Poly’s history and then got a peek at the university’s special collection archives. Will you join me in Sunday’s column? Above, the Student Wives Club and PHT diploma, described in the column. Click on the photo for a readable view of the diploma itself; you can decide for yourself if it’s amusing or embarrassing. William McKinley was one of five presidents (so far!) to visit Pomona, but he didn’t stay long — by one account, under two minutes. I unearth that story, while also presenting some cultural notes and more, in Friday’s column. I’ve known Robert Dukes mostly to say hello to, but I sat down with the newly retired Pomona Superior Court judge to talk about one of my favorite topics and his: the old days. That’s my Wednesday column. 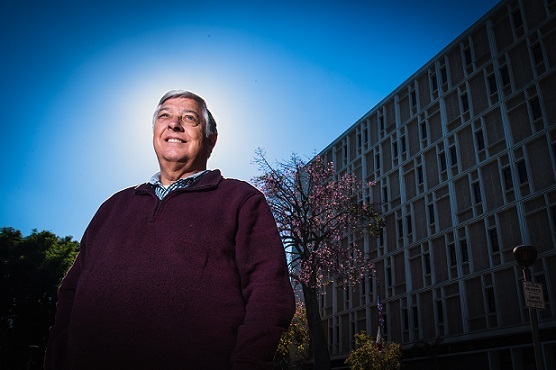 I sat down for a chat with Tim Sandoval, the mayor of Pomona since 2016. He’s had trouble achieving his goals, but the election swept in three City Council members more favorable to him. We’ll see how that goes; for now, here’s Wednesday’s column. Longtime residents still talk about the beauty of the Palomares dining room in downtown Pomona’s Buffums’ department store, which closed in 1991. Contributing to that beauty were two murals by the Millard Sheets Studio. They were sold to the highest bidder when the store closed, along with other fixtures. But they’ve been bought by the Tessier family, who own the Fox Theater and other properties downtown, and will be on display starting Saturday. Read more, and see photos, in my Friday column. I attended the retirement luncheon for Pomona cop Ron McDonald and got Sunday’s column out of it. Frankly, McDonald is so low-key and had such a let’s-get-this-over-with attitude that I didn’t expect much. But the event was quite nice.